Traveling is stressful for a pet as it is for all of us. Check your pet’s health and fitness, by visiting your veterinarian before the trip. 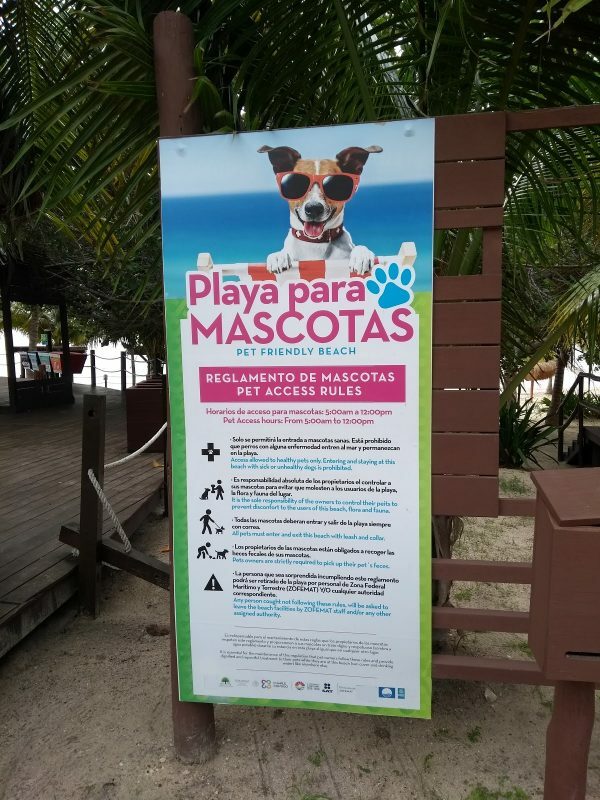 Most if not all countries will require that your dog be vaccinated a specific time period prior to entering the country, Mexico is no exception. Be sure and research hotel pet policies for hotels in your destination city. Make your reservations early as many hotels have a limited number of pet friendly rooms available. 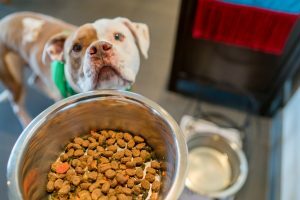 It is also a good idea to note the name and address of a nearby veterinarian in case of emergencies, dog parks or beaches that allow dogs and a pet friendly restaurants. There are hotels that include special menus for your pet and veterinary services, if required and, at an extra cost, you can take it to the salon and hire personnel to take care of it. 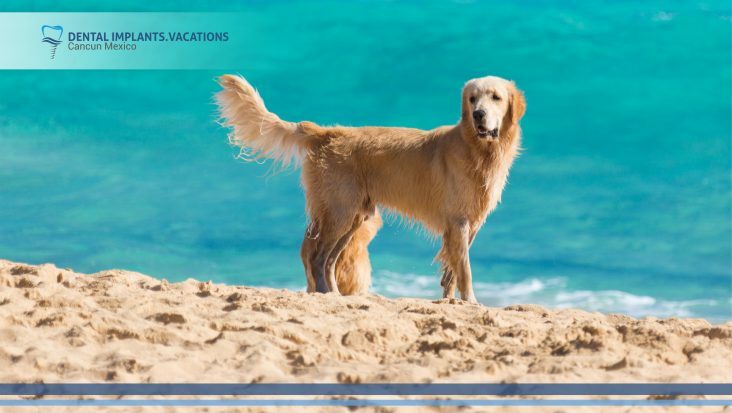 Besides, in Cancun you can enjoy swimming and playing with your pet in the beach “Playa Nizuc”, located at the end of the hotel zone, right behind Ventura Park or if you prefer to visit Tulum, there are two places we highly recommend for you. 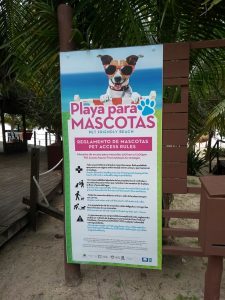 One of them is famous Taquería La Eufemia and another great option is Akiin Beach Club, it has a nice beach with lots of space for your dog to play around. Our staff is always ready to helping you, if you are planning your dental vacation and want to know more information about your trip, ask us and we will answer all your questions. You may also like: Explore marvelous reef and cliffs in Isla Mujeres showing off a great smile.